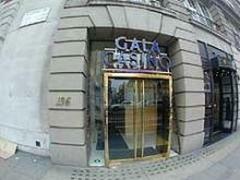 Situated a stones throw from St James and Hyde Park, the Gala Casino Piccadilly is perfect for a great night out in the centre of London. The casino itself has 6 American Roulette tables, 2 x three Card Poker tables, 28 Electronic Roulette machines, a Craps table, a Jackpot Stud Poker table, one Casino Stud Poker table, and 5 Blackjack tables. The Jackpot Zone includes £4000 slots as well as the latest in electronic gaming. The friendly staff are always on hand to help - particularly in the Casino Magic area, where the dealers will teach newcomers the basics, and maybe teach some more advanced players a few tricks. After registering as a member no ID is required, the dress code is smart/casual, so no trainers or sportswear. Wheelchair access is provided, as is complimentary parking. Membership for all the Gala casinos are free and can be obtained online using the link to their website above.